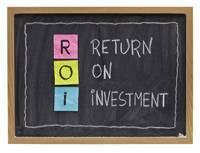 To those companies who continue to cut or maintain flat marketing budgets during these tough times, and the others who think they are doing just fine with reduced spends, I’d like to remind them not to forget the “I” in ROI. While we do not want to minimize the return on any marketing investment, it is just that – an investment, which will have long-term (as well as short-term) effects on your company’s goals. There certainly isn’t anything wrong with taking a closer look at your marketing efforts, especially those that haven’t been scrutinized recently. Often you’ll find some tactics are being implemented simply because they always have been, and no one has ever questioned why or how. You should be looking at the most cost effective ways to execute them, but remember, you get what you pay for and the lowest bidder or the least expensive tactic isn’t always the best. Cost shouldn’t be the only deciding factor. Think about the quality of the product you’ll receive, the time in which it will be delivered and the strategy behind it. For example, direct mail may not be the least expensive way to reach your target audience, but it is often the most customizable and allows you to utilize market segmentation strategies. We find website development often goes to the lowest bidder, but when you try to compare “apples to apples,” you’ll find you’re likely comparing an apple to a watermelon. If you pay less for your site development but it isn’t coded or written to be search engine optimized and found by users when they’re searching for a product or service you provide, you’ve wasted your money.